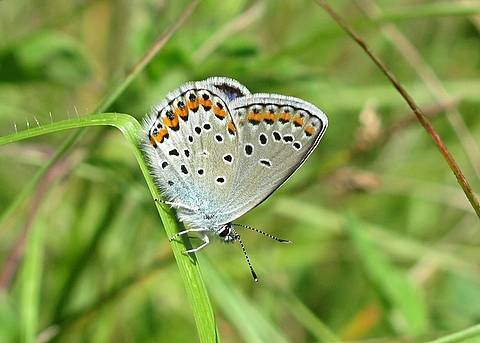 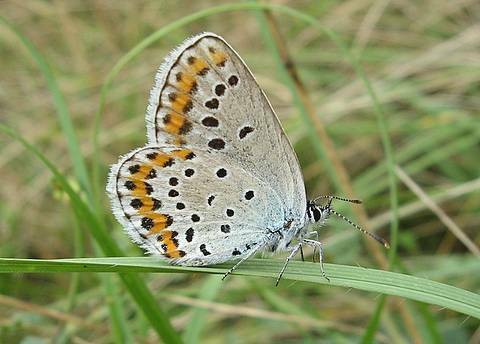 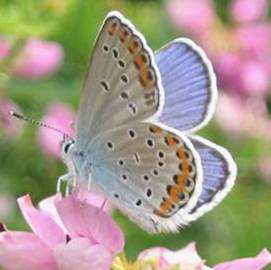 The Reverdin's Blue is one of a handful of similar species in the interesting Plebejus group. 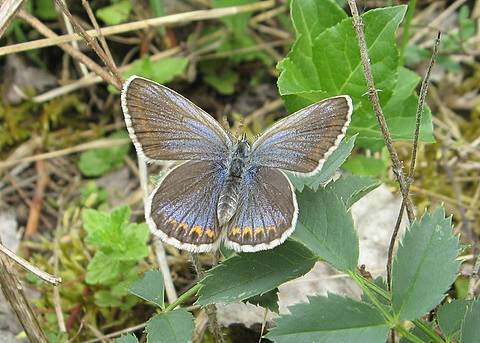 Reverdin's is characterised by a rather solid and regular, vivid orange band on the underside of the hindwing with flattish or lightly rounded black lunules inside it. 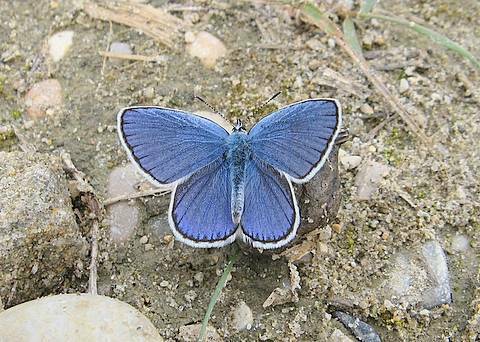 The extremely similar Idas Blue tends to have at least a couple of sharply pointed chevrons in this department. 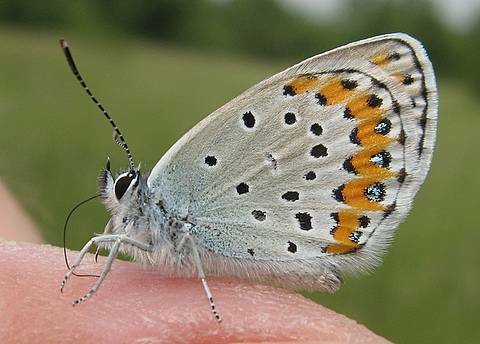 But the real key to identifying the species is linked to the larval food plant. 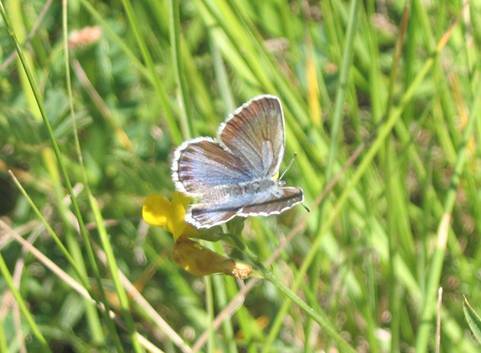 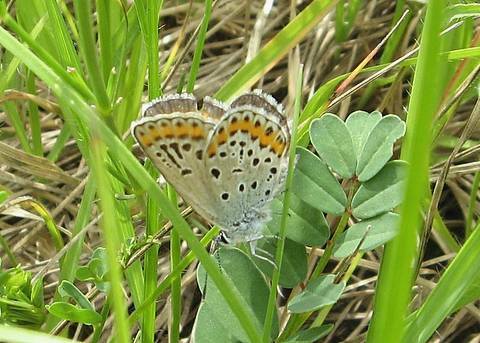 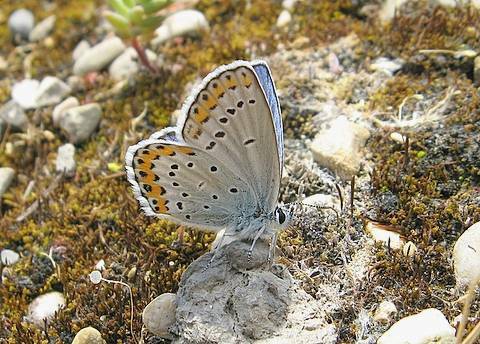 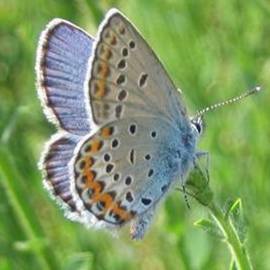 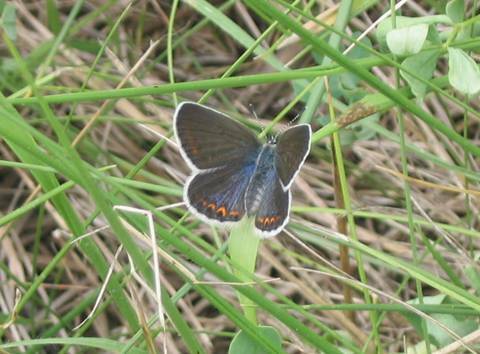 Reverdin's Blue is most usually a butterfly of calcareous grassland where it lays principally on crown vetch (Coronilla varia.) 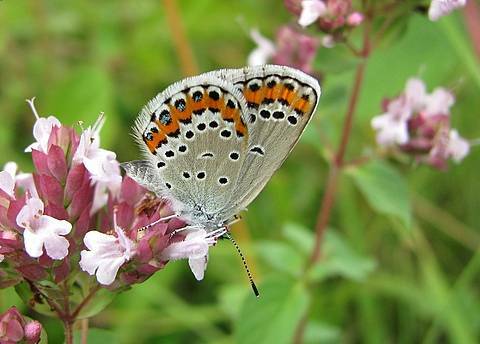 The butterflies spend most of their time flitting around abundant stands of the plant. 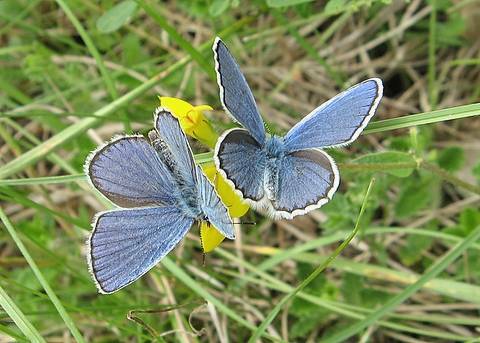 It should be noted however that crown vetch will tolerate other soil types and may also be found in dry, heathy grasslands close to stands of broom attractive to the Idas Blue. 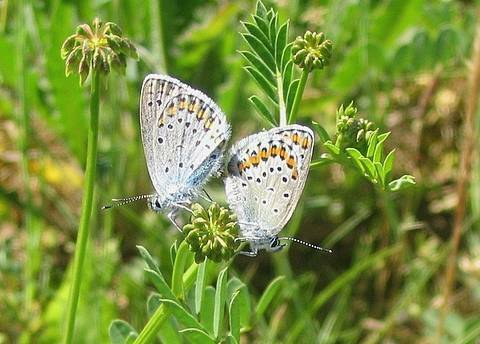 Whilst I have never encountered the two species together, the potential is there. 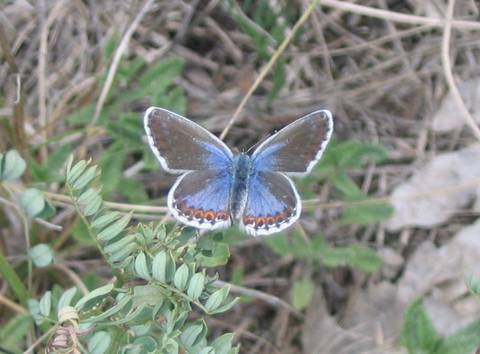 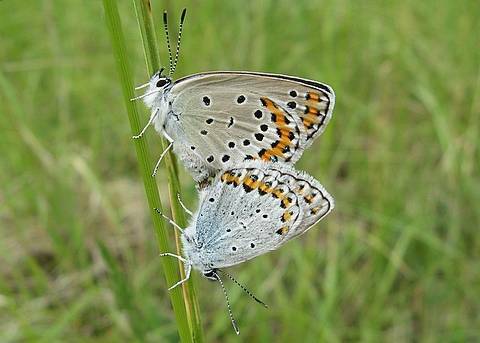 The upperside of the female would seem to be extremely variable from almost all brown to an extensive blue suffusion, with or without orange lunules.